A must for every rescue professional. These Cordura nylon case is durable and water repellent. 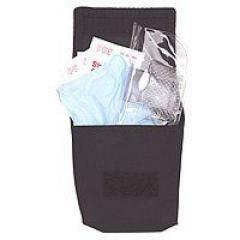 CPR Basic Holster can accommodate most rescue masks. Belt loop fits belts up to 2.5" and measures 6-1/4"H x 5"W x 2"D.